The world is clamoring for cotton, yet the 10 million farmers who harvest West Africa's "white gold" are still mired in crippling poverty. Take Mali, for instance. 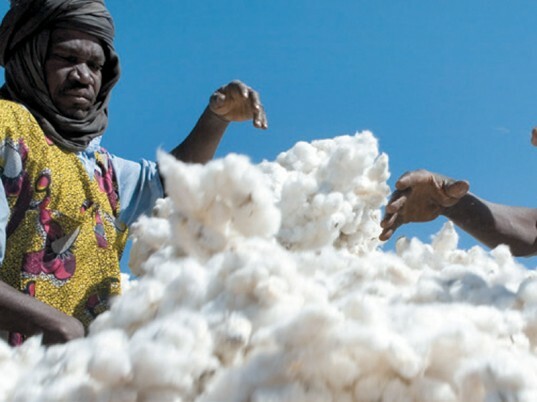 Roughly 40 percent of rural Mali's 2.5 million people depend on cotton, the country's largest export, according to a new report from the Fairtrade Foundation. But the price of cotton has taken a dive over the past 40 years, reduced to nearly half its value after adjusting for inflation. The culprits? Massive subsidies for cotton farmers in the United States, Europe, China, and India that all but ensure that Mali doesn't get a fair price on its cotton. The current system of agricultural subsidies isn’t right, least of all fair, according to The Great Cotton Stitch-Up, a new report by the Fairtrade Foundation on the perniciousness of doling out free cash to first-world farmers at the expense of the world’s poorest growers. Cotton-growing nations in West Africa lose $250 million in income because of the price-dampening effect of subsidies. Together, the United States and European Union bestowed roughly $31.45 billion over the past nine years on their cotton farmers. By artificially depressing the global price of cotton, industrialized nations make it nearly impossible for West African farmers to cover their living costs, let alone lift themselves from poverty. Released earlier this week, The Great Cotton Stitch-Up reveals how cotton subsidies are shortchanging some of the world's poorest. West African farmers are losing an estimated $250 million each year, notes Oxfam International. Conversely, removing these subsidies would bump up the average West African household income by up to 9 percent—enough to feed 1 million people. 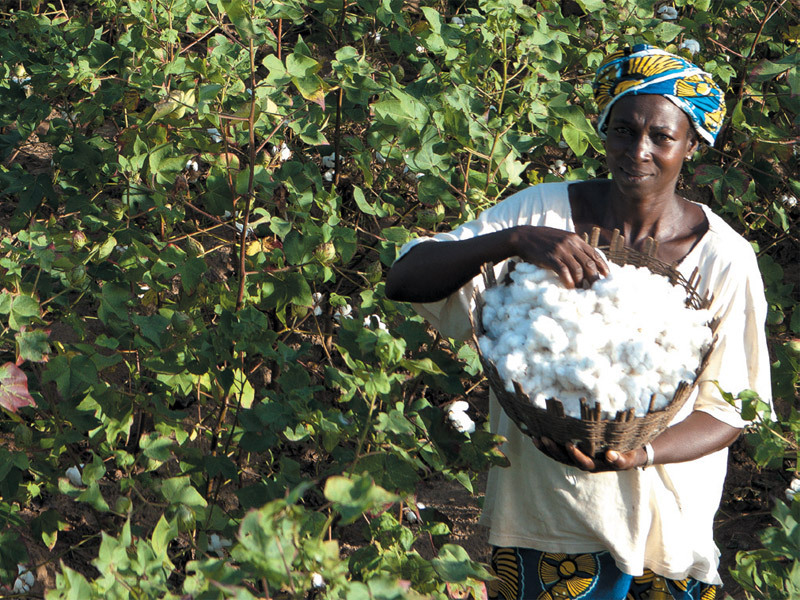 In the nine years since the World Trade Organization launched the Doha Development Round to stimulate growth in the poorest of nations, the U.S., European Union, China, and India have bestowed $47 billion to their cotton growers. Mali is among the least developed countries in the world. Along with Benin, Burkina Faso, and Chad (collectively known as the Cotton-4 or C-4), Mali depends on cotton export revenues more than any other commodity. But although the C-4 produces cotton at prices lower than anywhere else, their competitive advantage is undermined by a bank of subsidies extended by four major trading blocks. "For the Cotton-4, it is a situation that spells economic ruination," states the report. "With no subsidies to bail them out, Cotton-4 farmers struggle against insuperable odds to compete." No revenue means no roads, ports, and other infrastructure to support any industry, garment or otherwise, that could employ millions. Although fair trade offers some flicker of hope, the timing of the report could not be more apt. As we speak, the European Commission is in discussions to overhaul the continent's Common Agricultural Policy, including reevaluating the system of subsidies. Earlier this year, Congress began negotiations of a new Farm Bill to replace one that places much emphasis on subsidizing cotton farmers.